The Supreme Court on Wednesday dismissed the pleas of five states seeking modification of its order issued last year on the selection and appointment of director generals of police (DGPs). 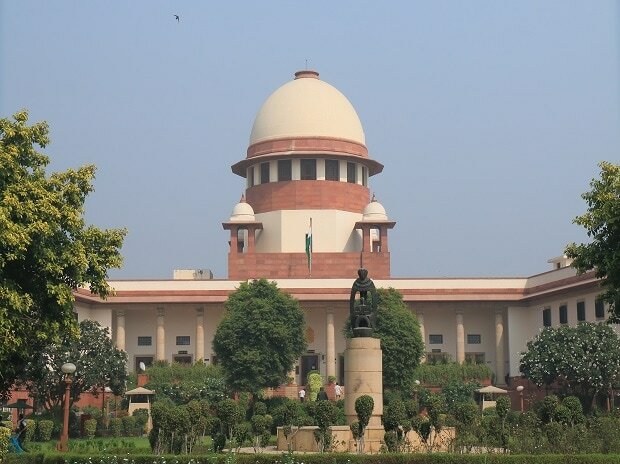 The apex court was hearing applications of various state governments, including Punjab, Kerala, West Bengal, Haryana and Bihar, seeking implementation of their local laws regarding the selection and appointment of DGPs. A bench headed by Chief Justice Ranjan Gogoi said the earlier directions of the court on selection and appointment of DGPs were issued in larger public interest and to protect the police officials from political interference. On December 12 last year, the apex court extended till January 31 the tenures of the present DGPs of Punjab and Haryana and agreed to hear the states' pleas seeking to implement their local laws regarding the selection and appointment of the police chief. DGPs Suresh Arora (Punjab) and B S Sandhu (Haryana) were due to retire on December 31 last year and will now remain in office till January 31 according to the earlier order of the apex court. Several states were seeking modification of the apex court's earlier order directing all the states to mandatorily take the assistance of the UPSC in short-listing the names for appointing DGPs. The top court, on July 3 last year, passed a slew of directions on police reforms in the country and chronicled the steps for appointment of regular DGPs. It said the states will have to send a list of senior police officers to the UPSC at least three months prior to the retirement of the incumbent. Punjab, Haryana, Bihar, Kerala and West Bengal told the court that they have already framed a comprehensive law, dealing with the procedures to appoint the DGP, in pursuance of the 2006 apex court verdict on police reforms. The apex court, while deciding the PIL filed by former DGPs Prakash Singh and N K Singh in 2006, issued several directions, including the setting up of a state security commission to ensure the government does not exercise unwarranted influence on the police. It said the appointment of DGPs and police officers should be merit-based and transparent and officers like DGPs and superintendents of police (SPs) should have a minimum fixed tenure of two years. However, when states enacted laws providing a mechanism for DGP selection, the apex court on July 3 last year kept the state laws in abeyance. It earlier passed directions on police reforms and restrained all states and Union Territories from appointing any police officer as acting DGP. The apex court, on September 8, 2017, agreed to hear a clutch of pleas observing that its historic 2006 verdict on police reforms, recommending steps like fixed tenures for DGPs and SPs, has not yet been implemented by states and Union territories.